You might recall that we did an in-depth review of this ammo when we got back from SHOT earlier this year (here). For those of you who haven’t tried it yet, this will be a great opportunity! Per Winchester, these should be hitting stores beginning in about a month, and the retail is supposed to be around $129. 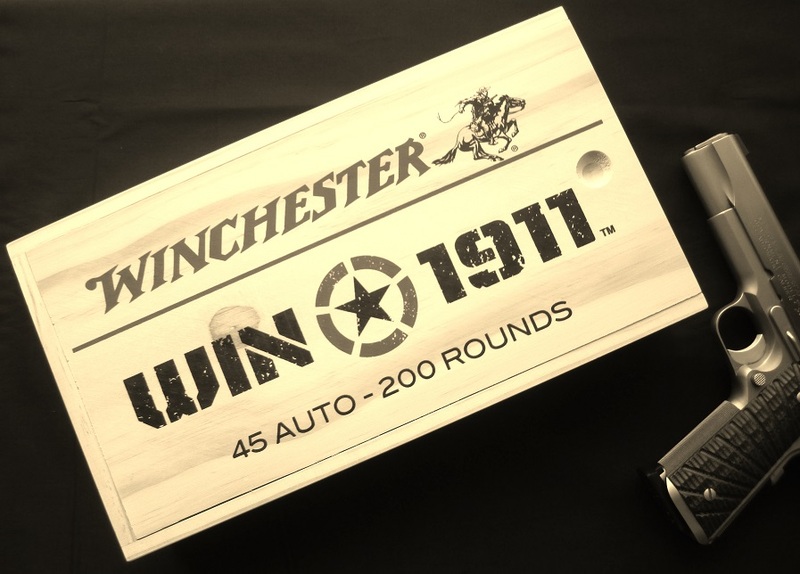 The Win1911-branded wooden box is packed inside a cardboard outer sleeve to keep it safe until you get it home, and each box comes with 100 rounds of Win1911 FMJ and 100 rounds of JHP. 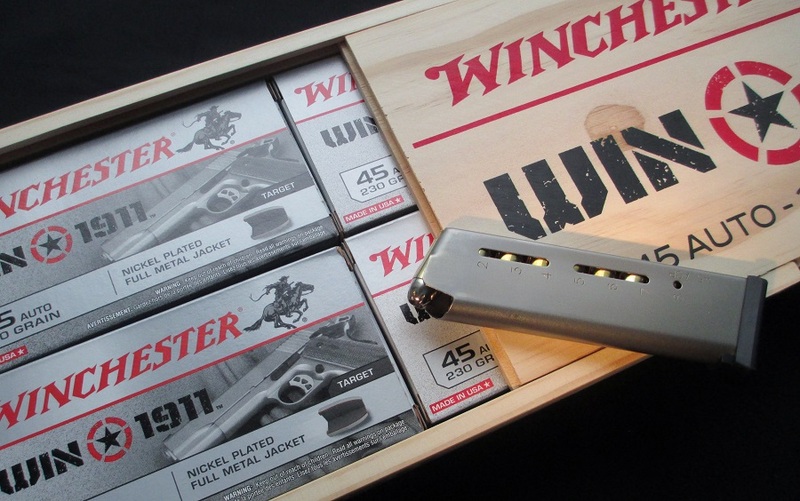 The box is also a good size to keep stashed anywhere, and the lid closes even with a 1911 in there (please don’t leave a loaded gun in this box if there is any chance a kid running around your house could find it…). This promotion will be offered at Cabela’s , Bass Pro, Gander Mountain, Field & Stream, and Academy Sports, and it’s a chance to get a slight discount off of the normal sticker price of this ammo with a cool promo item. It’s a good gift for those hard-to-shop-for .45 fans in your family, or for yourself (because you worked hard this year and you deserve it). One last thing: although I said this in the Win1911 review, I know someone is going to leave it in the comments or send me a message, so here’s a disclaimer. 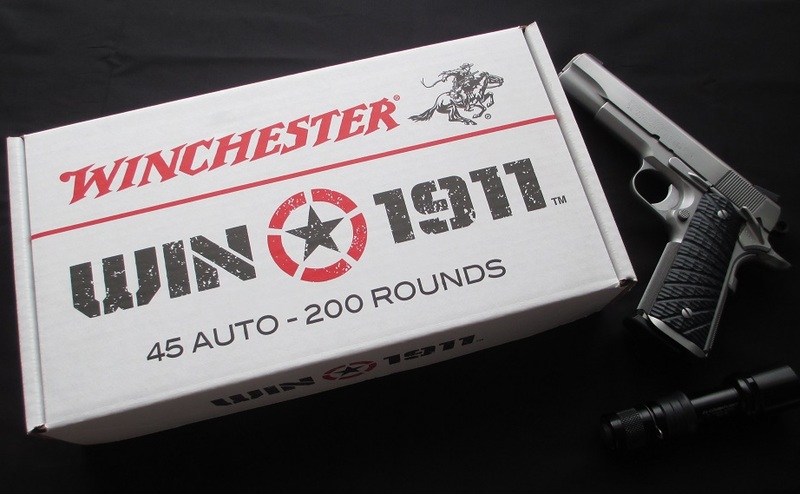 I’m not saying that you need this ammo for any 1911 you own in order for it to be reliable, and Winchester isn’t either. A properly-tuned 1911 will run any .45 Auto you load in the mag. But Win1911 remains a very nice, full-powered alternative to other FMJ range options and conventional SD hollowpoints. The fact that it’s good ammo seems like a n appropriate homage to the 1911 in my book, but by all means please don’t go tell everyone HP thinks you need special ammo for your 1911 to run, because you don’t. 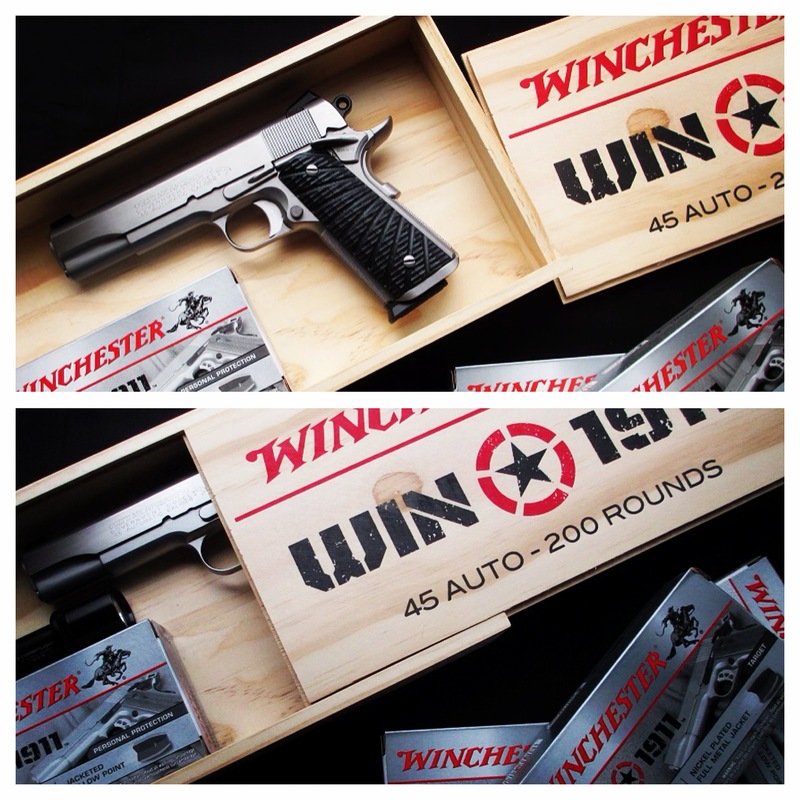 *The sample product for these photos was provided by Winchester Ammunition, but this is meant solely as a heads-up. The full review shares our evaluation of Win1911’s performance. What 1911 is that? And what grips? It’s a Colt Series 70 Stainless reissue built by Novak’s (http://novaksights.com/novak.html) with checkering/magwell done by Alchemy Custom (http://1911doctor.com/). Grips were made by Larry Davidson (http://www.davidsonknives.com/) and are a combination of his starburst and lines textures.